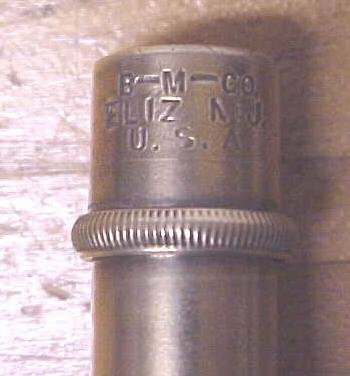 This is a very rare, very nice clean antique plumb bob marked "B-M-CO. ELIZ. N.J. U.S.A." on the top thread cap section. This tool company (Braunsdorf-Mueller Co.) was in business from 1888-1910, making top quality precision tools and instruments. I have never seen another plumb bob with their name on it in several years. This one is 6" long, 12 ounces, 3 pieces, with a good steel tip, both ends are threaded, good threads. It's in nice shape! Some dings noted, mostly at the top of the cone shape, otherwise minor wear. 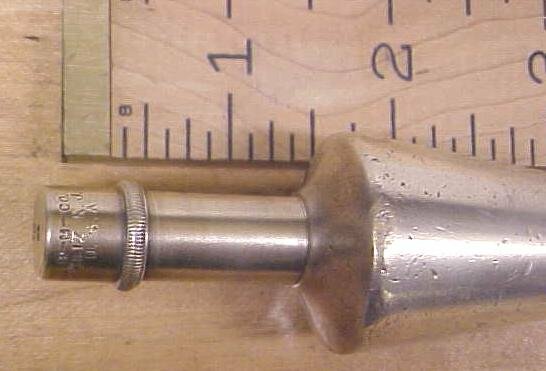 The neck is 1.5" long x .50 diameter. A very hard to find collectible plumb bob! Items Similar To "Braunsdorf-Mueller Plumb Bob Brass B-M-CO"
Antique Plumb Bob Brass 6 oz.